Get involved in your community! Bowman County has a great amount of organizations throughout the community. Organizations range from nationally led, locally formed, religious, and educational purposes, among many more! Visit the Religious Organizations page for a list of religious organizations. Visit Bowman County Schools Website to learn about all of their clubs! There is an organization in our community for anyone! The Bowman County 4-H Council is made up of representatives from the five Bowman County 4-H clubs. They organize the county 4-H events. The council meets periodically throughout the 4-H year. The Bowman County Jr. Leaders Council is a group of senior 4-H members who plan 4-H events throughout the county. This is a civic organization made up of current or former veterans. The group’s major focuses are Boys’ and Girls’ State and Legion Baseball. They also do all funeral honors for deceased veterans. The Bowman Lion’s main focus is on sight programs and to help sponsor programs to help with vision impairment. They are a service organization that empowers volunteers to serve their community. Some of the services they provide are donating time to local events and sponsoring medical benefits for those in need. This is a boys’ organization dedicated to teaching leadership skills, outdoorsmanship, and many other life skills by example. The group performs several outdoor activities and does service projects to help their local community. 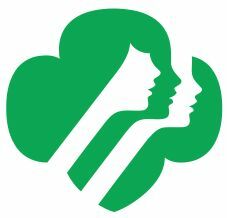 Girl Scouts is dedicated solely to helping girls build character and skills for success in the real world. In partnership with committed adult volunteers, girls develop qualities that will serve them all their lives, like leadership, strong values, social conscience, and conviction about their own potential and self-worth. There are several troops of different age levels in Bowman County. An American Legion Post is only as effective as its members. Get involved! Support local Post programs...and the entire community benefits! Rotary International Rotarians provide humanitarian service, encourage high ethical standards in all vocations, and help build goodwill and peace in the world. An American Legion club is only as effective as its members. Get involved in your community! Support local programs and the entire community! The Scranton Lion’s Club is a service organization that is put together to support the community through volunteering and meeting local humanitarian needs. The club meets the 2nd Monday of each month. ABLE, inc. is dedicated to enhancing relationships, providing opportunities for growth, and encouraging people to reach their personal dreams. The Bowman Area Chamber of Commerce is led by a board of directors. It is an organization of over 150 area businesses that make up our diverse economy. A membership in the Chamber is an investment in the future of your business and your community. 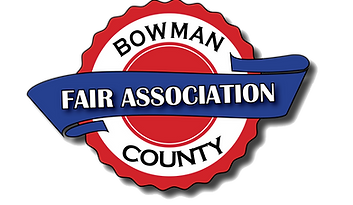 The Bowman County Fair Association operates the Bowman County Fairgrounds, which hosts a variety of events throughout the year. This organization also hosts and facilitates the annual Bowman County Fair. The Bowman Fire Department is a volunteer organization which strives to provide the highest level of service possible to the citizens, businesses, and visitors of Bowman. The Bowman/Slope Community Foundation was established by a group of residents concerned about the lack of funding for local organizations. It provides a method of receiving donations and distributing grants to benefit projects or nonprofit organizations in Bowman and Slope Counties. The Bowman Community Cupboard is your local food pantry that serves Bowman and Slope Counties. Whether you want to volunteer, donate, or visit, contact them today. Dakota Prairie Helping Hands is a group of trained, caring volunteers dedicated to helping people in the communities they serve. This can be for someone who is sick, recovering, dying, lonely, confined, or in need of some assistance to make it easier for them to stay in their homes. Your local Homemaker's Club! They are dedicated to serving the community. Hope and Healing Therapeutic Riding offers horseback riding instructions to those with special needs and at-risk individuals with the hope of therapeutic benefit. 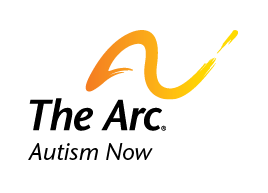 The Little Missouri Arc is a volunteer-based organization made up of individuals with intellectual, developmental and other disabilities, their families, friends, interested citizens, and professionals in the disability field. The Pioneer Trails Regional Museum is Bowman's local museum and cultural centers. They have departments in archaeological, genealogical, and paleontological research. The Rhame Community Club is a group of volunteers that organizes events in the great community of Rhame, such as Burgers in the Park and Rhame Gala Day. The Rhame Fire Department is a volunteer fire district. It is one of the largest in North Dakota, covering 600 square miles. The School of Promise is a nonprofit preschool for special needs children. They run solely on donations and their annual dinner and auction fundraiser. The Scranton Fire Department is a volunteer fire department that serves the Scranton community, as well as the county of Bowman. Southwest Healthcare Auxiliary assist the organization with the mission of serving patients and residents with the spirit of compassion. They meet on the second Wednesday of each month. Tot Lot is a nonprofit child care facility that has been operating for over 17 years. They also run a preschool and parenting classes, among many other programs! Yesterday's Farmers is a group that is dedicated to preserving our local agricultural history. They preserve antique farm equipment, grow potatoes to sell to the public, and host an annual Show Event.